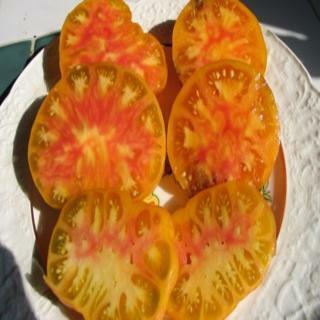 Northern Lights tomato seeds. This sweet and fruity bi-color has dancing swirls of pink red and yellow. Plants grow quite large and produce loads of these 10- 18 oz. treasures. Variable shapes will appear, but most will be beesteaks.